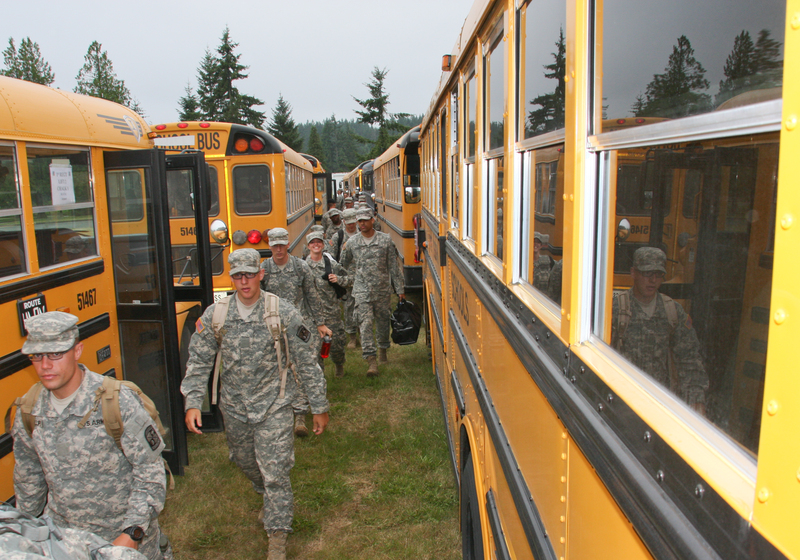 JOINT BASE LEWIS-McCHORD, Wash. – The Army consists of less than 1 percent of the United States’ bravest and most dedicated individuals, without whom the Army would not prevail in combat. The vigorous training of the future Officers of the Army would not be possible if not for the strategic planning and organization which goes in to the logistics within the Army’s Officer training courses. 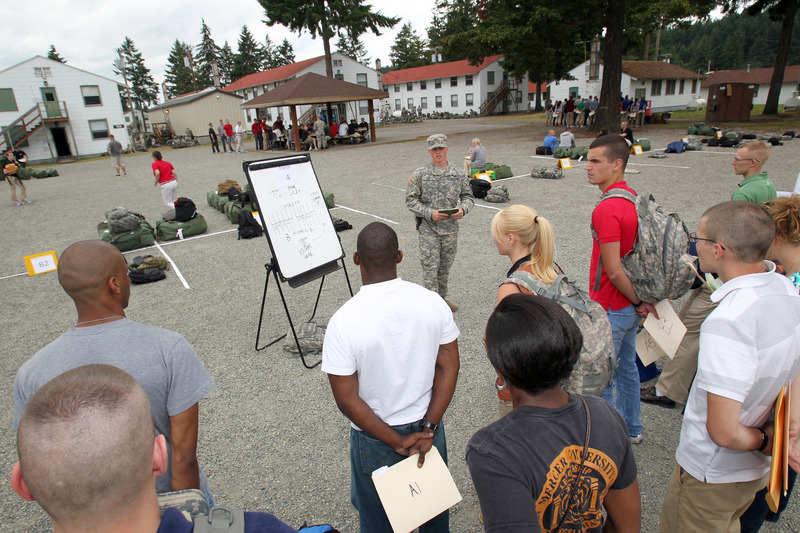 Cadets must negotiate confidence courses, training facilities and field training exercises at Joint Base Lewis-McChord as a part of LDAC in order to become second lieutenants in the U.S. Army. 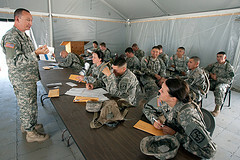 Under the logistics committee at LDAC fall four subdivisions – Food Service, Supply, Services and Transportation. Combined, their mission is to coordinate and execute support for the Cadre and Cadets involved with the training course. Everything from the smallest to the largest logistical issue is ultimately the responsibility of the chief logistical advisor to the Warrior Forge Commander, Lt. Col. Michelle Holliday. She does not do it alone, however. Behind Holliday is a team of 287 Army officers, contractors and Soldiers – the second largest committee at LDAC. Most of those on the logistics committee did not enlist or contract with the Army to write schedules and hire contractors. When Lt. Col. Felisha Rhodes is not overseeing the transportation at LDAC, she is a dietitian for the Army. She believes that the Army has prepared its Soldiers for any challenge. With training sites in-place and properly stocked, the next step is finding people to run it all. “As the senior staff we are trained to immediately be able to quickly pick out who’s going to be the movers, the shakers, the leaders, the silent leader. So, you know who’s going to be in what spot,” Rhodes said. Cadets travel from all over the United States and even from as far away as Slovakia, Guam and Great Britain to be a part of LDAC. Every consideration goes into planning the training and nothing can be overlooked by the logistics staff. distribution and turn-in, as well as numerous other duties which Schoenborn says are not defined. “We’re kind of like the organization with a thousand hats,” he said. While much of the work is done through contracted companies, it is still up to the services department within the logistics division to mitigate problems which cannot be solved immediately by the company. Rhodes has a hand in everything transportation-related at LDAC, but Soldiers like Specialist Phillip Greene have the responsibility of transporting Cadets. Greene is in charge of driving a “silver side” vehicle which transports Cadets to and from their training sites. His biggest concern must always be safety when transporting Cadets. Once on ground at LDAC, Cadets begin the preparatory stages to clear them before executing their training. They In-Process by completing medical screening and having equipment issued to them. This stage of the training is when the hard work of the logistics division is first put to the test. The entire process is assessed constantly to make adjustments or improvements as needed. 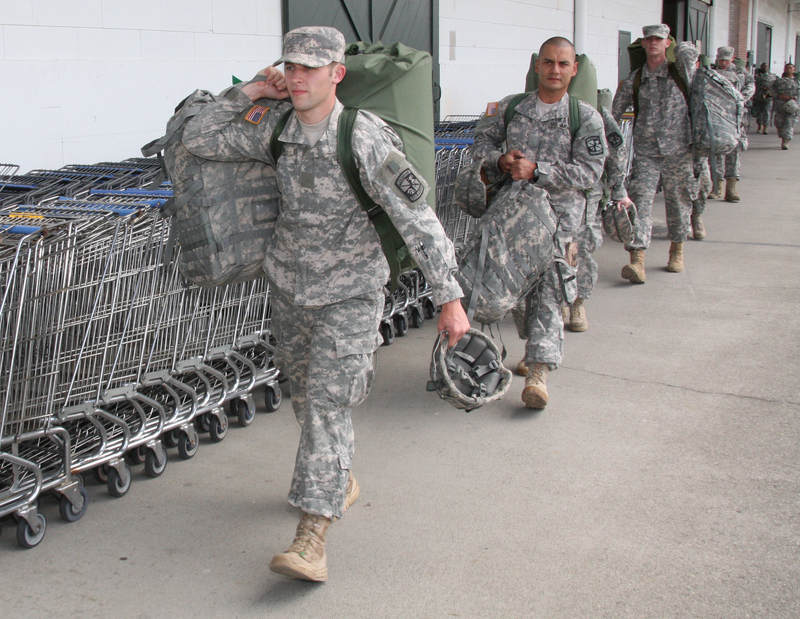 at the Central Issuing Facility (CIF) prepare Cadets for training by supplying them with necessary gear within the first few days of training. The 45 pounds of essential gear Cadets are issued include such items as rucksacks, socks, tan undershirts, rain gear and Kevlar helmets. At the end their bags must be emptied to log what they may be missing. The gear Cadets receive is utilized throughout the training course and kept with them until the last few days at Warrior Forge when a majority of it is returned. Cadets must sign for the property, making them accountable for anything lost or ruined. Phan emphasized that this is a lesson in responsibility. “If they leave here and find out they’re missing something, they’ll have to pay for it,” Phan said. 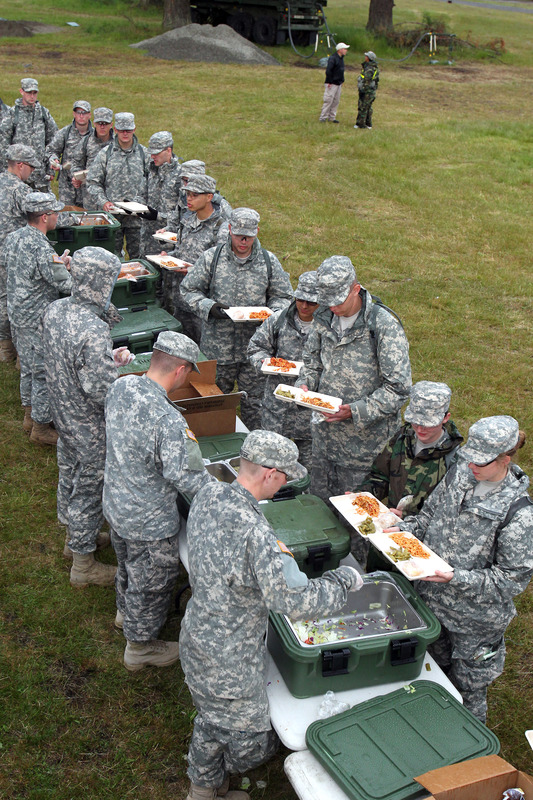 In-Processed and armed for training, Cadets are expected to carry out the course without distractions such as hunger, dehydration or exhaustion. To prevent these distractions cadre at each site smoothly organize the training. Maj. Carl Meredith, mayor of Tactical Training Base West, has seen what it takes to keep the Cadets fed and hydrated. He says the TTB West training site alone goes through 300 cases -3,600 Meals-Ready-to-Eat(MRE’s)-for every two regiments which come through the site and their supplies are replenished every day. The Tactical Operations Center on each training site maintains “…all the stuff that helps us to make sure the Cadets have what they need to complete the training,” Meredith said. The most anticipated event at LDAC is the field training portion to introduce Cadets to situations similar to those they might encounter in combat. This training is heavily reliant on logistics – ammunition, ammunition storage, weapons, sleeping bags, tents, flashlights, food, water, blankets and other necessities – to keep Cadets combat-ready. “It’s a very satisfying job because you are supplying a service where you get to see an end result,” Schoenborn said. There is no room for error behind the operations because Officers are expected to carry out the mission without considering the provision of basic services. In order to keep the Cadets and cadre functioning at LDAC without interference, plans are made in advance each summer. Sandoval says the planning for LDAC 2013 is already underway. Check out our video about Logistics at LDAC here!